The February 2011 Daring Bakers’ challenge was hosted by Mallory from A Sofa in the Kitchen. She chose to challenge everyone to make panna cotta . Ah! 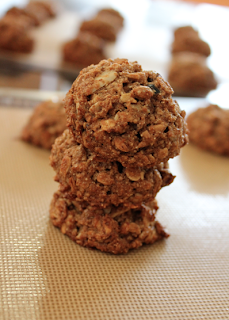 While writing this post I realized I forgot to take pictures of the florentine cookies. You'll forgive me though for not posting the pictures, right? I did, however, take pictures of the panna cotta. That'll make it all right, right? The panna cotta reminded me of a creme brulee, just the lighter, more refreshing cousin. 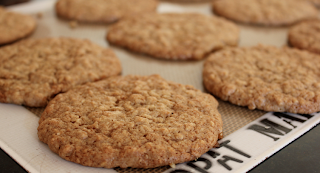 Oh, and without the layer of crunchy caramelized sugar. But we can put that layer on the panna cotta too, right? 1. Pour the milk into a bowl or pot and sprinkle gelatin evenly and thinly over the milk (make sure the bowl/pot is cold by placing the bowl/pot in the refrigetor for a few minutes before you start making the panna cotta). Let stand for 5 minutes to soften the gelatin. 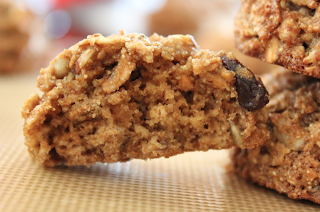 Healthy Breakfast Cookies. That's how I would describe today's recipe. 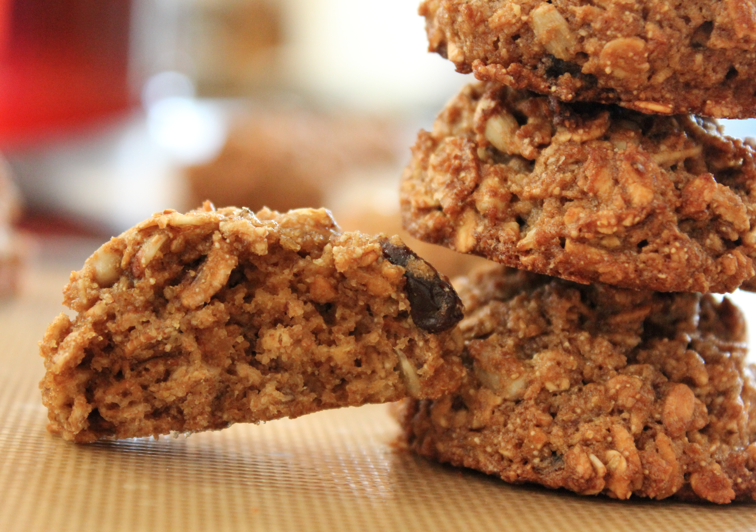 This recipe comes from the back of a Bob's Red Mill Muesli bag, and the cookies are chock full of all the good foods you need in the morning such as rolled oats, whole wheat, and dried fruit, plus there's no added oil. These cookies were a little too healthy for me, but if I had no time to eat breakfast, maybe, just maybe, I'd eat one of these, but that's a just maybe, not a guarantee. 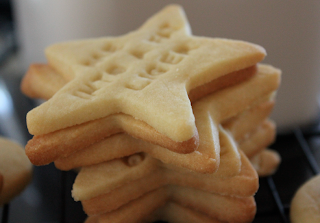 I'm not saying these cookies were bad, just not what I expected. They are soft and chewy, though. Below are normal(ish) looking cakepops. The ish is because they aren't too pretty. Below is powder sugared cake balls. Don't they look like mini donut holes? 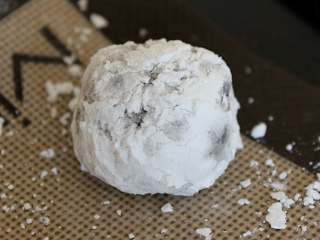 After several attempts at dipping cake pops and bites in to chocolate, which all turned out in disasters, I decided to coat the cake balls in powder sugar and call it a day. Ingenious! 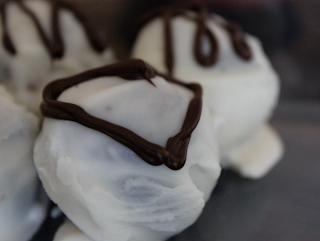 It was easy, and the cake balls were still retained their deliciousness! Simple and delicious. 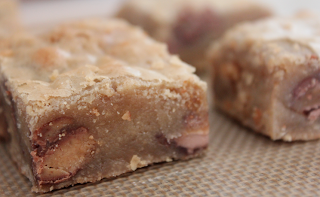 That's how I would describe these decadent candy laced blondies. 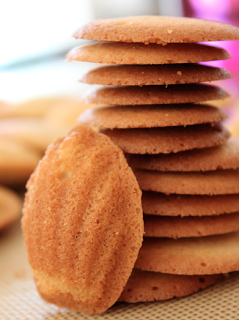 They're similar to caramel cuts, but more chewy and soft. 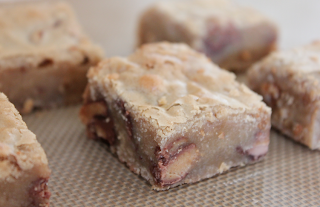 They were so soft I had to place the entire pan in the freezer for thirty minutes just to cut these bars! But it was worth the wait, as they were perfect. Can you say a blondie is fudgy? It just doesn't sound right since there's no chocolate (not counting the candy bars), but yes, imagine a fudgy blondie. 3. Mix in salt and flour. Add in candy. I have no idea how to start this post. I've sat in this chair for the past ten minutes in the same position, hands poised above the key board, rapidly typing, then forcibly holding down the delete key. Should I write about how I want to eat a warm gingersnap cookie? Should I write about how I feel like I should go running because I ate too many gingersnaps cookies? Or should I write about how I'm cold right now? Even though it's 80 degrees outside, I'm wearing jeans, a long sleeve top, and a hoodie. I know, I probably shouldn't be complaining. Half the US is covered in snow, and here I am, saying how chilly I am. Okay, so I take that back, the part about how I feel cold. Maybe those of you trapped in your homes need some cheering up? 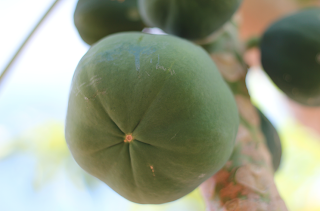 How about some pictures of Oahu? 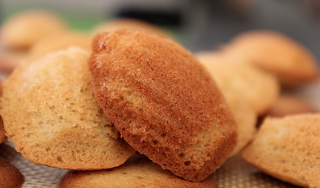 How about some chai madeleines? 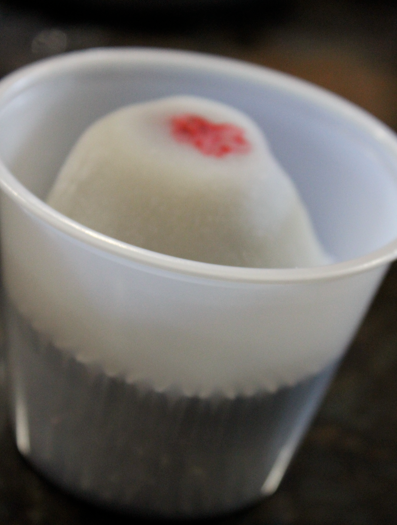 It's one of my favorite drinks in a cute mini madeleine! Isn't it adorable? 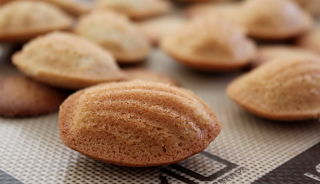 After the first batch, I was too lazy to refill the mold, and decided to see what madeleine batter would look like if I just piped it on to a cookie sheet. They turned out pretty well. A little flat, but they were similar to a thin, butter cookie. Maybe an almond thin, but without the almonds! Yummy all the same, right? 1. Preheat oven to 350º F. Butter madeleine molds. Sift flour, chai spice, baking powder and salt together. 2. In an electric mixer, beat eggs on high for 5 minutes. 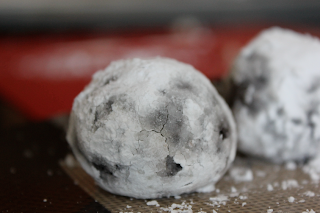 Add confectioners sugar gradually, and beat again on high for another 5 minutes until batter thickens. P.S: Voting is now open! 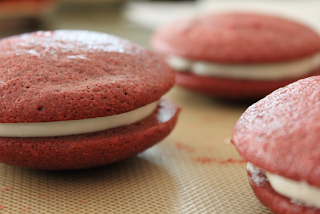 While I was "blog hopping" I stumbled upon a fun challenge involving cupcakes and chocolate. Every month The Sweetest Kitchen picks a different ingredient we must incorporate in to a cupcake. It sounded exciting, and I couldn't wait to get in the kitchen to start testing out some chocolate pairings. Actually, I already knew what I wanted to make. 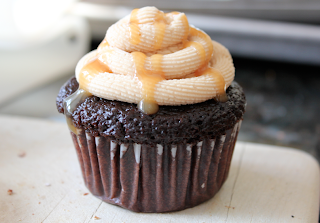 I was going to combine two of my favorite candy bars in to a single decadent cupcake. While I do love butterfingers, I wasn't sure how they'd turn out after baking, so I decided to combine the flavors of Milky Ways and Reese's peanut butter cups. 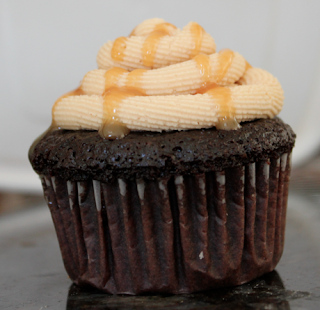 Caramel, peanut butter, chocolate, oh such a decadent cupcake was in my future. What do you think? It's a moist chocolate cupcake with a caramel filling topped with creamy peanut butter frosting and a caramel drizzle. I have to say, I definitely loved the peanut butter frosting and caramel combination. I'm thinking there will be more of those two together. And who could forget about chocolate? Chocolate makes everything better. 2. 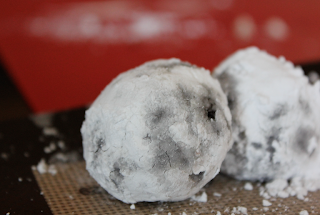 In a bowl combine the sugar, flour, baking powder, baking soda, and salt. 3. Add in eggs, milk, oil, and vanilla until combined. Mix in water. 1. Cream together the butter and powdered sugar. Beat in peanut butter. 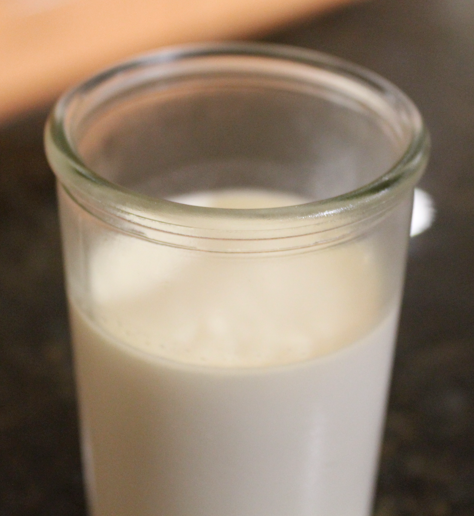 Add in milk and vanilla extract until smooth and creamy enough to pipe. 1. Using a spoon or knife, remove a piece of cake from the center to create a small well for the caramel. 3. 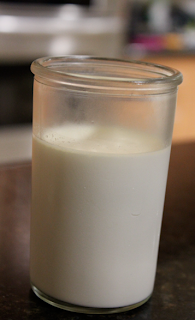 In a separate bowl mix together milk, egg yolks, and oil. Stir in flour mixture. Yup, it's another chocolate chip cookie recipe. I wonder how many I have. Three, four, five?! And I still haven't found the perfect one. Oh well, that's okay. Today's chocolate chip cookie recipe is from the Flour Bakery Cookbook. Bread flour and chilling the dough helps gives these cookies are more chewy bite to them. 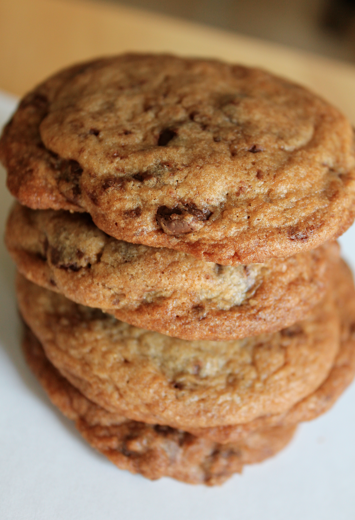 And like all, or at least most chocolate chip cookies, they are tasty! Happy-Almost-Valentine's Day Everyone! Here are some sugar cookies for you and your sweetheart. Do you like the stars, the hearts, how about the flowers? 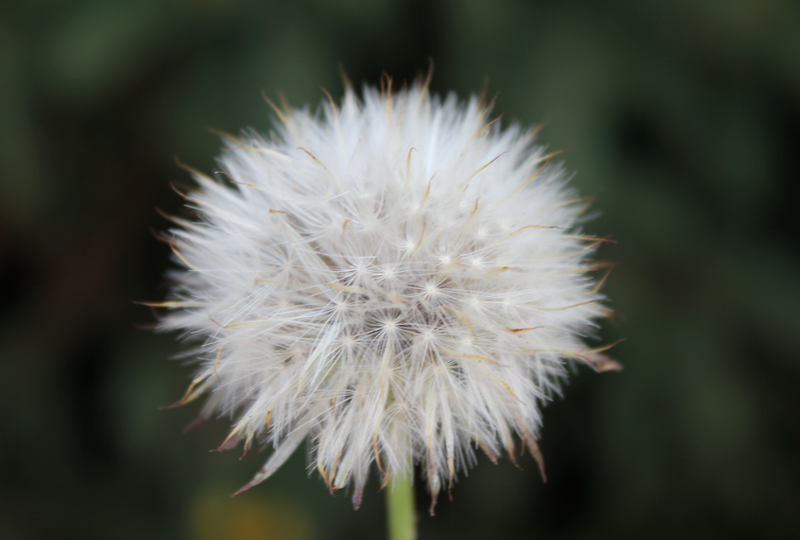 Soft and buttery, a perfect blank canvas for some decorating. Don'tcha think? I'm not sure what the one below says. Something about a liger or so I think. 2. 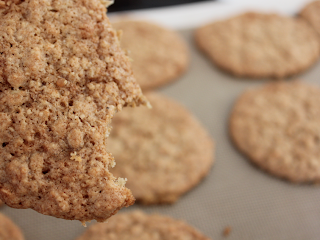 Beat butter until creamy and then add in sugar. 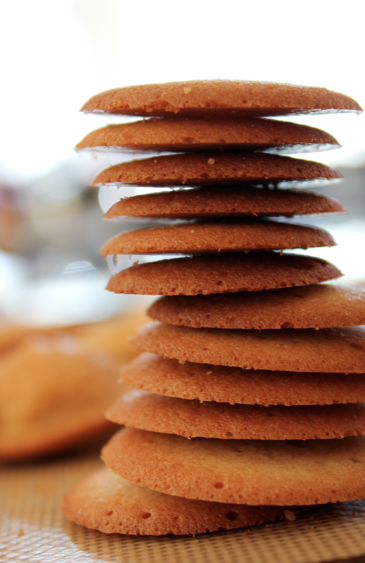 Add in egg and vanilla. 4. Divide dough in half, flatten in to a disk, and wrap in plastic wrap. Refrigerate for at least 2 hours, or up to 2 days. 5. Remove the dough from the refrigerator and let stand for 5 minutes. 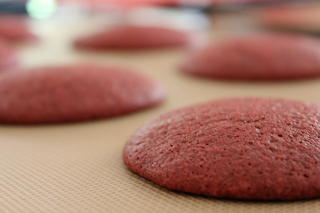 On a lightly floured surface, roll out the dough to a thickness of 3/16 to 1/4 inch . 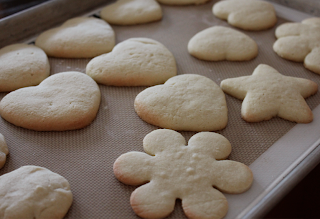 Dip cookie cutters into flour just before using and cut out shapes. 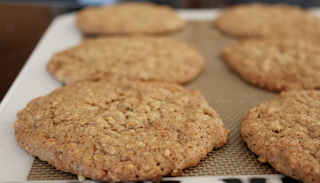 Refrigerate the cookies until firm 20 to 30 minutes. Oh. My. Gosh. This is the BEST mochi EVER! 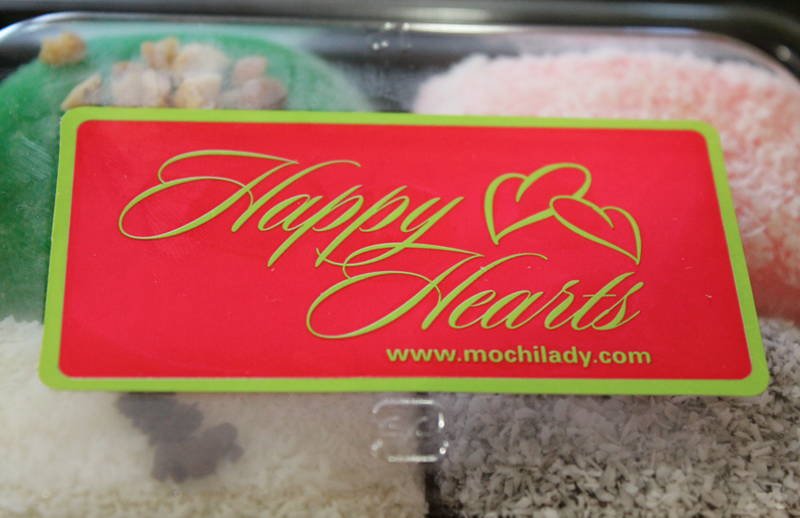 Handmade with love and care, Happy Hearts Mochi makes The Best Mochi Ever. Happy Hearts Mochi is a small mochi making company based in Honolulu, Hawaii. Each delicious piece of mochi is handmade with love and care. They're as tasty as they are cute, and they're definitely cute! They don't have a store, instead mochi is pre-ordered, and then picked up at a house in a residential neighborhood. Their hours are from 7am-11am, perfect for pickup before school or work. Orders must be placed 2 days in advance, but it was definitely worth the wait. I ordered the sampler pack and a strawberry mochi. 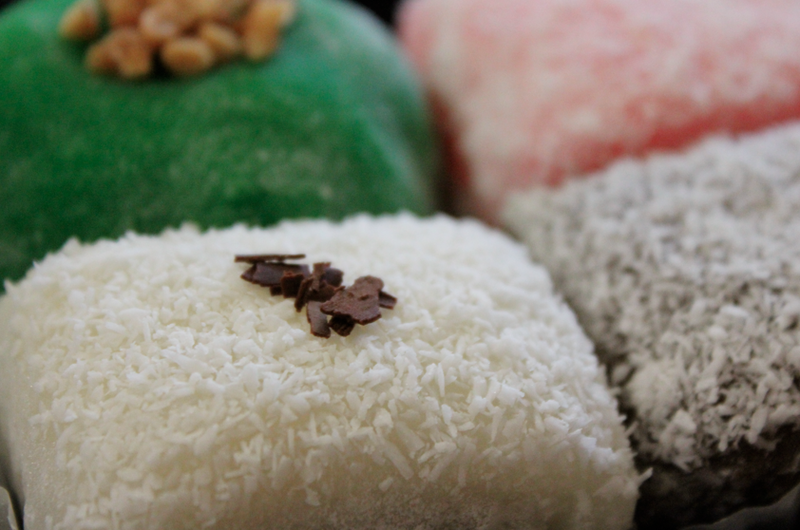 They have a total of four flavors: haupia, chocolate haupia, hazelnut coffee haupia, and peanut butter and azuki. 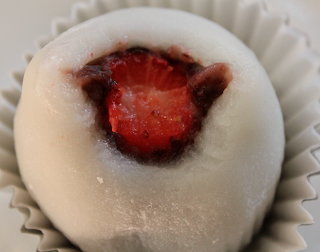 Oh, and their whole strawberry mochi! 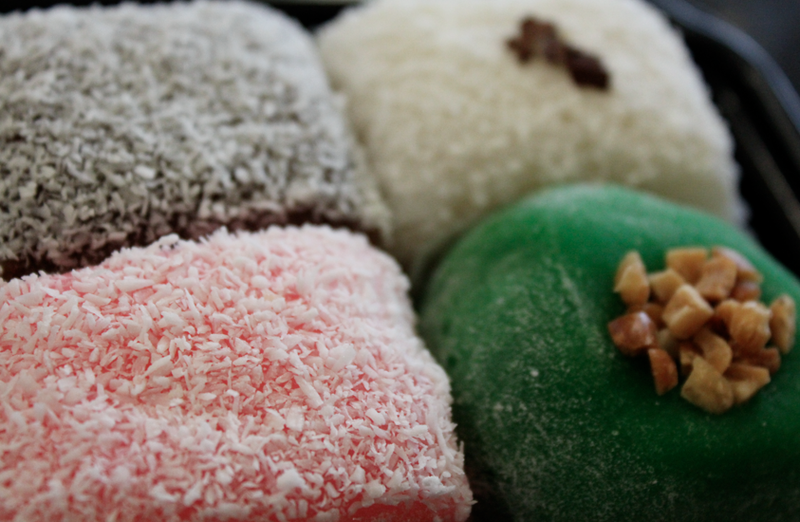 Clockwise from top right: Chocolate haupia, peanut butter azuki, haupia, and hazelnut coffee haupia. Yum! 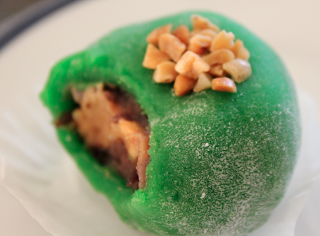 Next to be eaten was the peanut butter mochi. This was one of my favorites because it combined two of my favorite flavors, peanut butter and azuki bean. 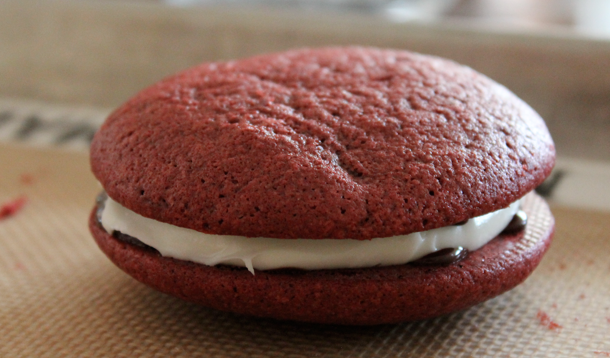 The peanut butter azuki bean center was amazing. Usually peanut butter mochi is filled with either smooth peanut butter or slightly-chunky-but-not-really-peanut butter. This peanut butter was super duper chunky. I'm talking entire half pieces of peanuts. Ha, I just thought of a joke. It's not a very good one, but I'll say, I mean write, it anyways. They had whole half peanuts. Ha, get it? Whole Half. 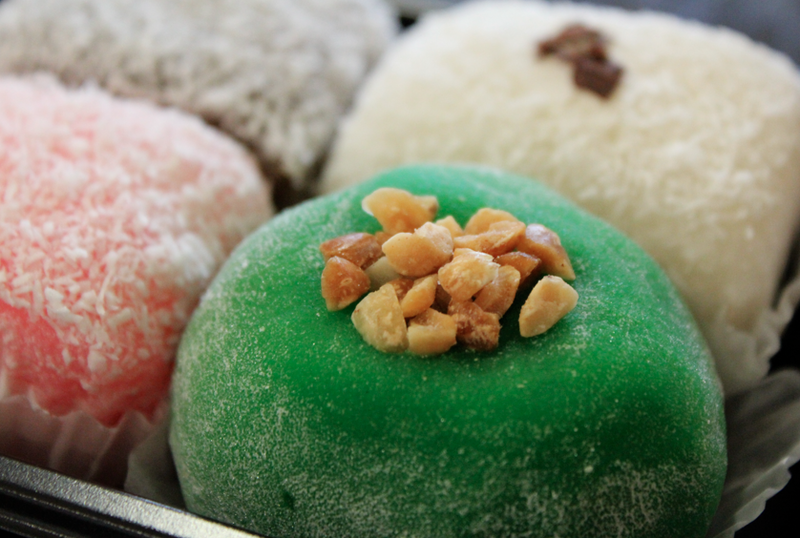 :) Anyways, I found the crunchyness from the peanuts pleasantly contrasted the so-soft-it-almost-melts-in-your-mouth mochi. Except once I bit in to the mochi, I completely forgot about pie. 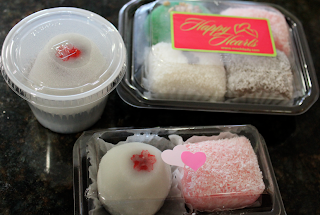 The flavors were so much better than the pie form, and instead of a buttery crust, it was hand made mochi, yum. Inside there was two layers. The top layer, which isn't as visible, is haupia, while the bottom layer is a mixture of chocolate creamy goodness and coconut. 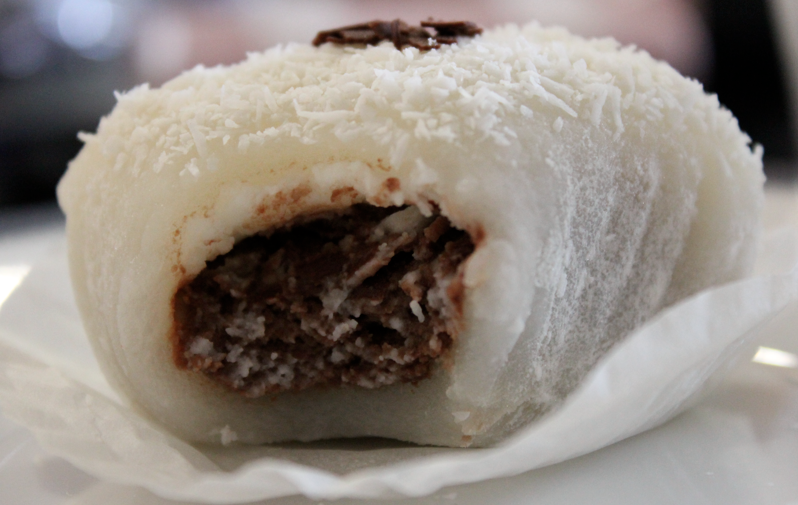 Last, but not least of the sampler pack was the hazelnut coffee haupia mochi. Wow, that was a long name. 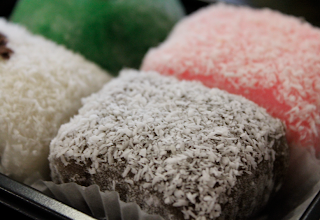 Because of my semi-dislike for coffee, I thought the coffee mochi would be my least favorite, but it was actually one of my favorites. 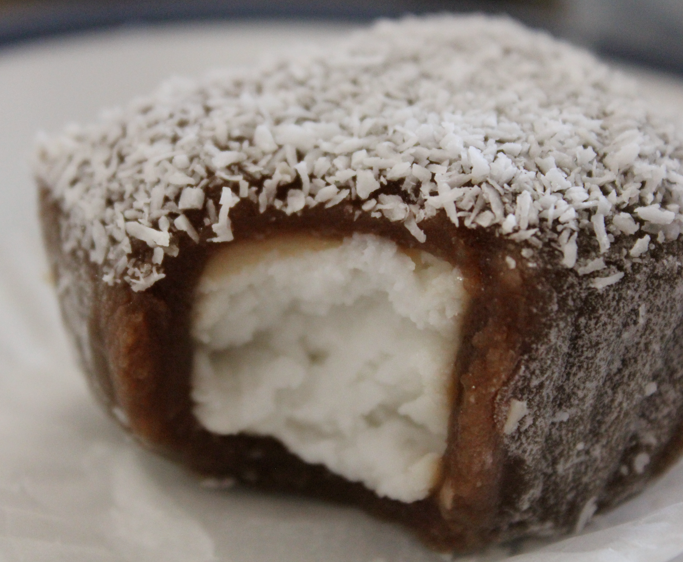 The mochi had a really pleasant coffee flavor, and it paired well with the creamy haupia. The strawberry mochi came in it's own little container, and was huge! 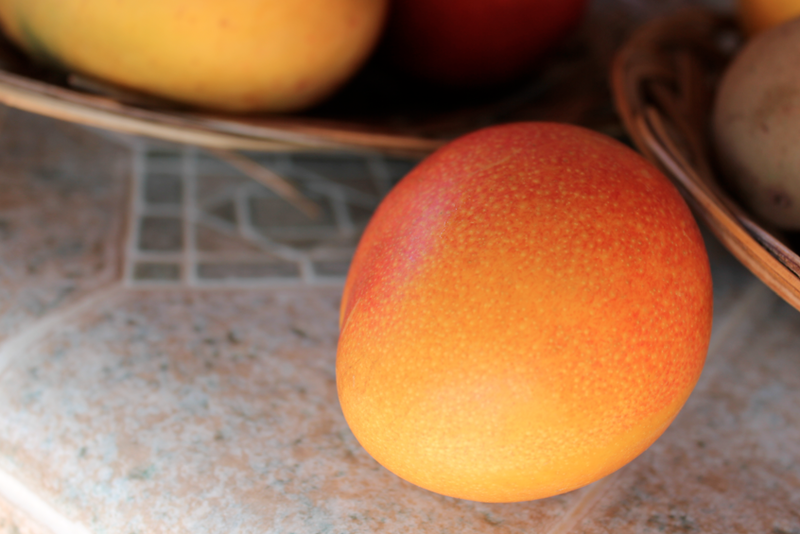 Imagine a very, very, large egg. 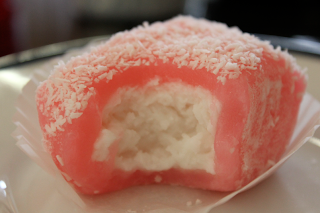 Or the biggest strawberry wrapped in azuki bean and mochi. 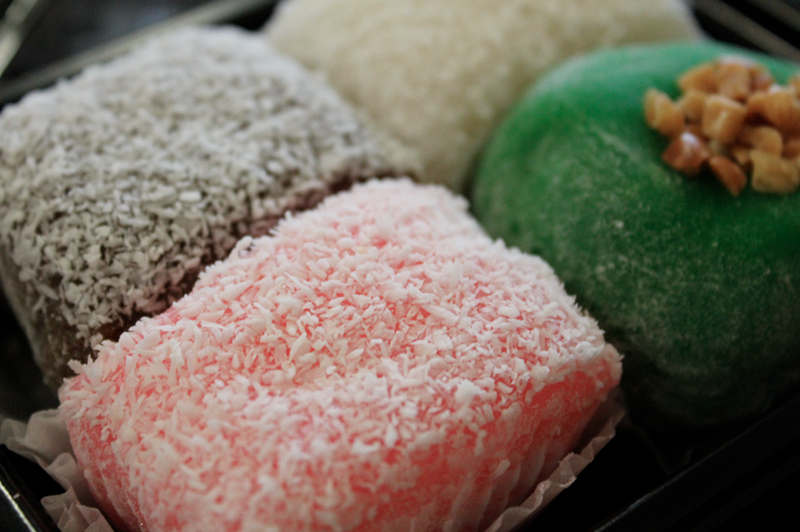 This picture does not do this mochi justice. I should've taken another picture, but sadly I had already eaten it after the first bite. 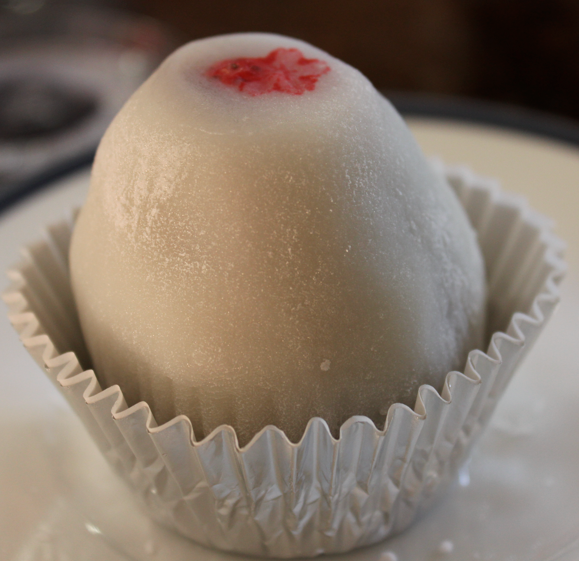 Below is what the mochi looked like after tiny bite to the top. It may look tiny, but there's a whole strawberry in there. Are strawberries even in season?! Overall, the mochi is definitely a must try if you stop by Oahu. But remember, you have to order two days in advance! This would be a great give for your valentine! Have you guys all heard about CSN stores? They have everything you can think of from high quality cookware to cool looking outdoor playsets. 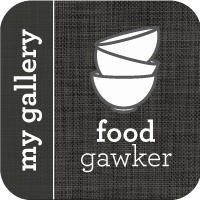 They have it all :) And with over 200+ stores, you're bound to find something interesting. Why not take a look around? And, guess what? I'm going to be doing a product review! Oh, I can't wait! Can you believe it's almost Valentine's Day? That means it's already February. Wow, a whole month has gone by in the year 2011. That was pretty fast. 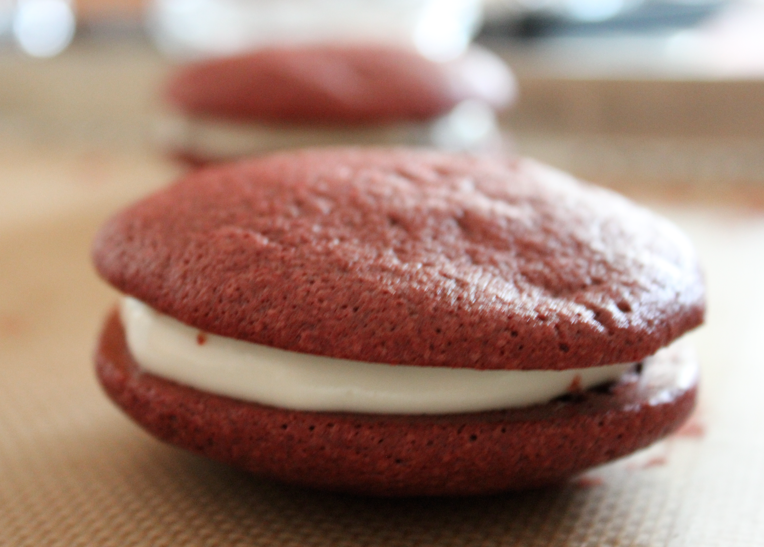 Now moving on to other matters, such as why did these red velvet cookies rise? They were supposed to turn out flat and crinkly, not puffy. They look like whoopie pies! 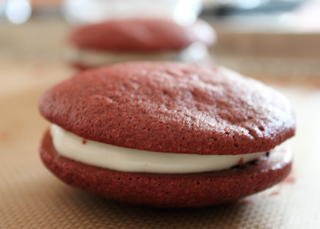 Oh well, red velvet whoopie pies are great all the same, right? 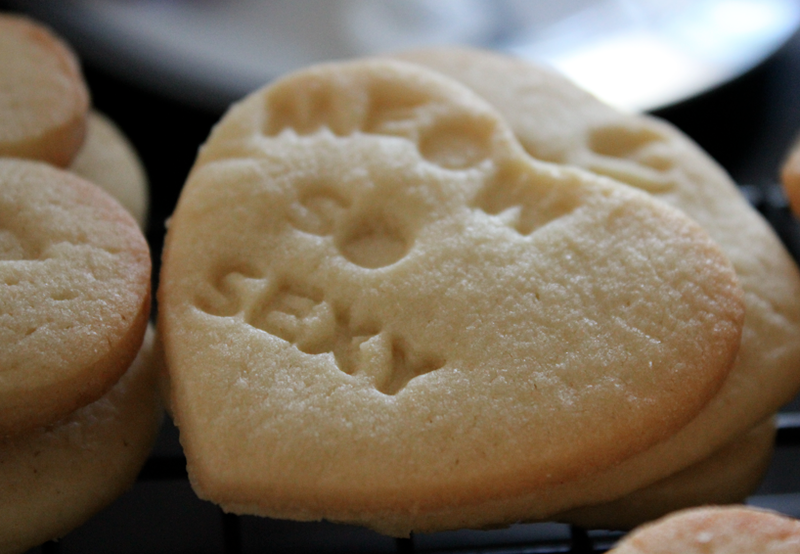 And they're perfect for valentines day! 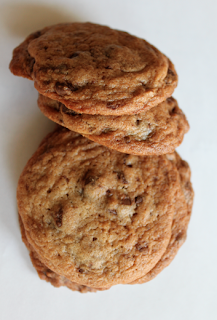 To make them even more decadent, why not add a layer of chocolate too? I'm not sure it's very visible, but the whoopie pie below has a layer of chocolate sandwiching the layer of cream cheese frosting. Sounds delicious, right? 2. In a bowl, cream together butter and sugar. Add in eggs one at a time, beating after each addition. Beat in buttermilk, vanilla and red food coloring. 3. 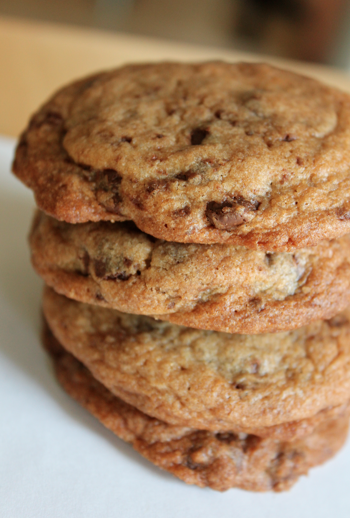 In a separate bowl, whisk together flour, cocoa powder, baking powder, baking soda and salt. Stir the dry ingredients into the wet. 4. 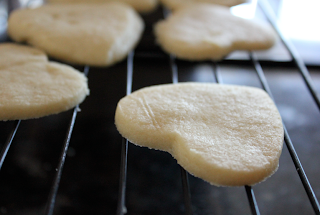 Scoop dough onto a lined cookie sheet using a generous ice cream scooper. 5. Bake for 10-12 minutes until centers appear set. Allow to cool before filling. 2. Beat in milk and vanilla. Sift powdered sugar over the wet ingredients and beat in until smooth.